Just another year; or is it seven? Do your people get seven birthdays each year? Rhody has been with me almost a year, but has not had a single birthday. It’s seven at first and then goes down. I’m extremely lucky that the guy I live with spends so much time with me. So you get birthdays all the time? Happy New Year to you, Mani, and to the guy you live with! 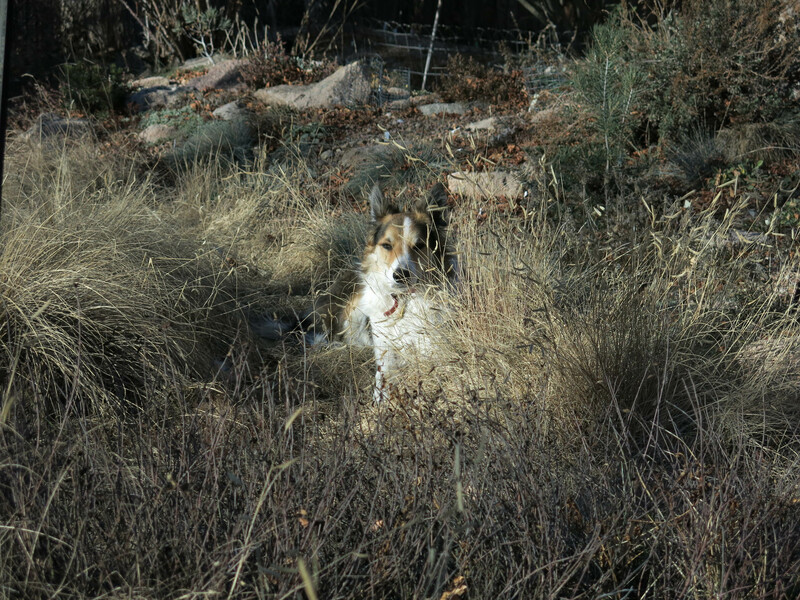 Such the mesmerizing dog, in a dry landscape. Love it! Great depiction of you, Mani, and your field of play. Happy New Year. Thanks; same to you. The guy I live with decided to use this picture for the blog and the other one for Facebook. I hope an as happy a new year as possible for you! Happy New Year to both of you Mani. Happy New Year, slightly belated.